Keith Earls is an exceptional athlete. The Munster winger is one of the quickest players in Irish Rugby and he dabbled in a number of different sports as a youth with a particular affection for hurling. The Moyross native had an ‘informal chat’ with the Limerick hurlers earlier this year with manager John Kiely thanking Earls for offering his experiences to his young squad. His words hardly hurt as Limerick went on to end a 45-year wait for the Liam MacCarthy Cup but his experiences in the sport have varied with one particular story from his days at St Nessan's Community College showing that he wasn't always a player that gravitated towards the ball. "I used a plank of wood from woodwork," Earls told Barry Murphy on Baz & Andrew's House of Rugby. "The woodwork shop was at the back of the school. One of the lads took the puck outs but bare in mind we played on a rugby field as well so he was scoring points from puck outs. I didn't really have much to do. Just stand there with a plank of wood. Probably look intimidating." Earls enjoyed much better success against Edinburgh on Friday night as he became the fastest player in Munster history to score a hat-trick, notching three tries in eight minutes and 20 seconds, surpassing Simon Zebo's previous record of three tries in 22 minutes. 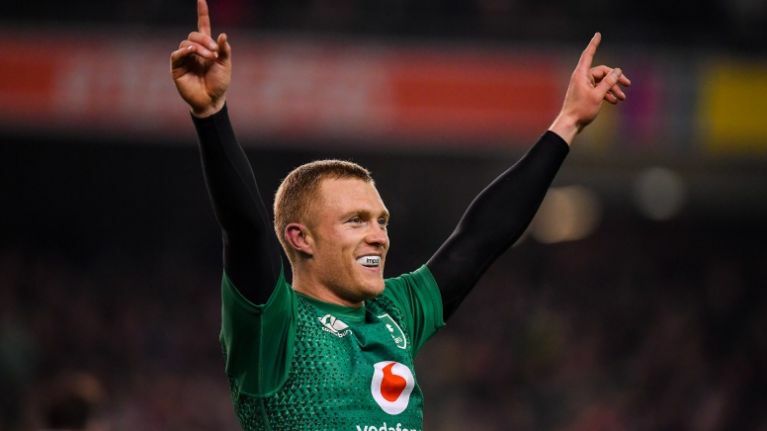 He added that he's had an increased focus on his speed and staying lighter in recent seasons but also noted how Ireland head coach Joe Schmidt has improved his game. "I was delighted to get one try because I was going through a serious drought," said Earls. "It was great to get a hat-trick because it's been about 10 years since my last one back in 2008 for Munster. It was a good first-half performance and we we're delighted with that more so. "I have Joe to thank as well for bringing my game to a new level and having a good balance between defence and attack. "He gets the most out of us and I'd say it frustrates teams at times in that we don't go away."